The Super Nintendo did not have as many accessories as the original NES did but it still had a few interesting accessories to consider. Just as the NES had the “Zapper“, the SNES had its own gun called the ‘Super Scope’ (or Nintendo Scope). As the illustration suggests, the gun was a large, over-shoulder gun peripheral that could be used in a small collection of games. Unlike the Zapper, however, the Super Scope did not automatically come with the SNES console. It was purchased separately or came packaged with one of its flagship games. Unlike the Zapper, the Super Scope was a radio-frequency gun that required a receiver to be plugged into the SNES console. An interesting trivia tip… a Super Scope was repainted and used as the “Devo Gun” from the famous (infamous?) Super Mario Brothers Movie. It was also hotly contested by the US Senate due to its similarity with assault rifles. Given then somewhat cult following of the original NES Advantage, the Super Advantage followed suit. 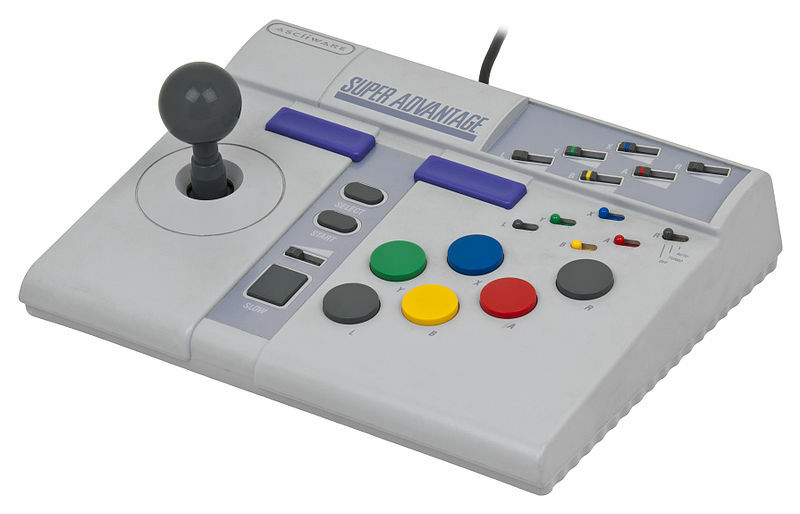 Just as its NES predecessor, the Super Advantage had a joystick for motion and featured all 7 of the SNES buttons in an easy to press format. Each button had it’s own turbo toggle switch and you could adjust the rate at which the button repeated. Also like the original, this joystick had a Slow Motion button which functioned by emulating the repeated push of the Start button. 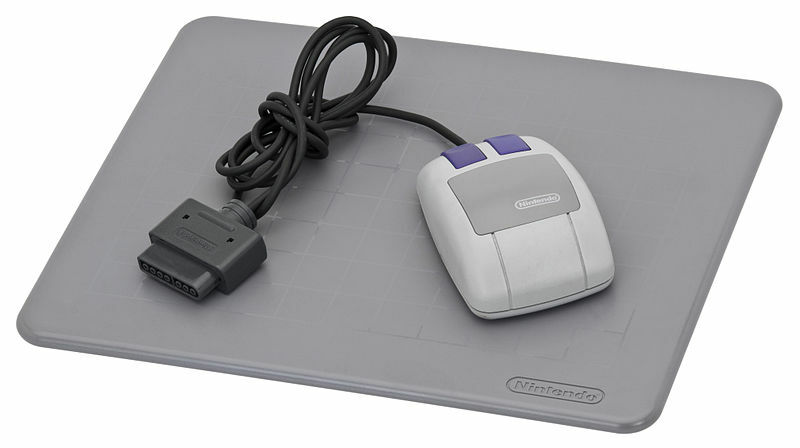 One of the most underused (and often confusing) accessories made for the SNES was the SNES Mouse. The mouse was made available during the release of Mario Paint because many of the games functions were much easier with the mouse. Overall, the mouse was much more widely used by the Japanese counterpart, the Super Famicom. Until the release of the Nintendo64, the Nintendo consoles only had two native controller ports as very few games allowed more than two players. However, when HudsonSoft released its hugely popular Bomberman series on the SNES, the game allowed up to four players. In order to allow this feature on existing consoles, many vendors released multi-tap devices which operated much like a modern internet hub. Despite the popularity of the multi-player market as a niche market, few game makers saw the interest in creating games for more than 2 players. 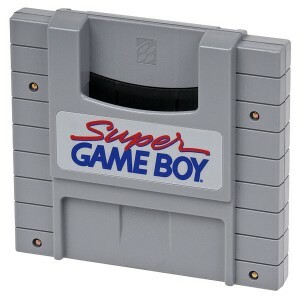 One of the most unique accessories I can think of for the SNES platform was the Super Game Boy adapter. Despite the massively better graphics offered on the SNES console, there was very little in the way of a portable console to succeed the Game Boy. 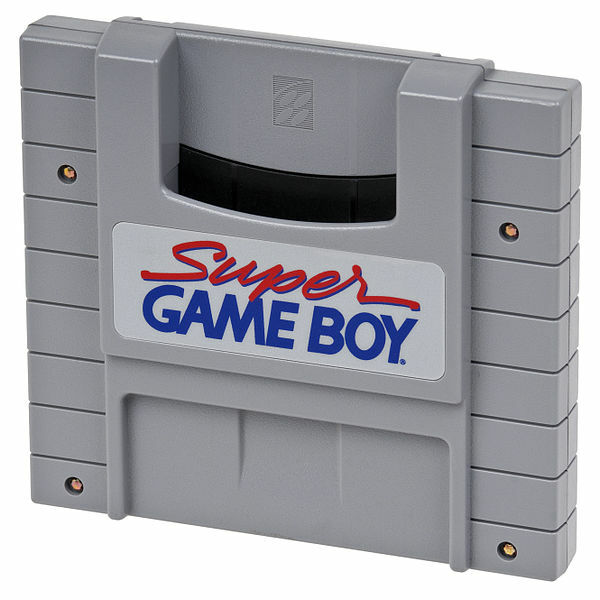 As a result, the Super Game Boy was created which allowed a player to insert their favorite Game Boy games into their console and play it on their home television. Realistically, the Super Game Boy itself was actually just a display adapter which converted the signal from the internal screen to a ratio compatible with the televisions of the day. 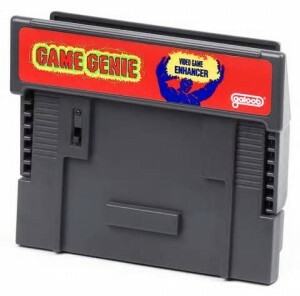 After the outrageous success of the Game Genie for the NES, Galoob knew that the market for an SNES derivative of the hardware would be a cash cow and quickly released the SNES Game Genie. Much like its predecessor, the hardware was an add-on attachment where the player would plug their game into the top of the device and then plug the bottom into the SNES console. Unlike the blue NES version, the SNES Game Genie booklet was a red color and was updated frequently to include the much larger library of SNES games in the market. Nintendo Power, the Nintendo of America magazine also featured monthly Game Genie supplement codes which attributed to the longer lifecycle of the SNES version of the Game Genie. Most modern SNES emulators also feature Game Genie functionality. 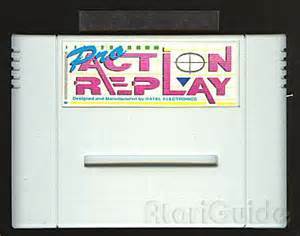 In an almost identical fashion to its NES Predecessor, Datel created the Pro Action Replay for the Super Nintendo system. The PAR for the SNES was almost identical in function to its NES predecessor. 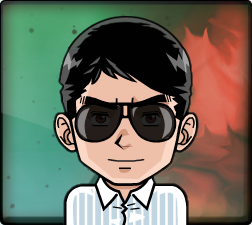 It allowed for hacking the games on the system by directly modifying their game code to achieve specific results. The PAR also featured the Save State functionality of the previous model which allowed for a gamer to save state, attempt a hack, then restore state and reset the state if needed. Its functionality is built in to most SNES emulators as well.